At A1 Affordable Garage Door Services our objective is to provide the homeowner with top quality products, warranties and the best customer service at a fair price. 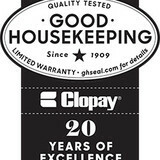 We offer a 100% satisfaction guarantee and on-time appointments which saves our homeowners time and money. Our service technicians and office personnel are highly trained in the function and operation of garage doors and garage door openers. We also provide stocked company vehicles; uniformed employees and we never use contractors or sub-contractors. A live person answers our phones 24 hrs a day, seven days a week. Experience the difference. Our team of technicians are trained with a high standard and years of experience to fix your problem in an efficient and affordable manner. Upon our arrival to your home we will evaluate the repair to provide a full explanation of the work to be performed which will include your price options. With your approval, we will begin the work. We appreciate the opportunity to earn your business and consideration to use us over other companies available in the Dallas/Fort Worth metro area. Please call us today if you are in need of our outstanding service which we look forward to being able to provide for you, your family and friends. At Plano Overhead Garage Door, we have a word-of-mouth factor that’s hard to beat—and we work very hard to keep it that way. Our reputation, ratings, testimonials, reviews, and social factor are the backbone of who we are, and how we do business in Plano, Texas. We truly treat the customers like family members! We do not do ANY Commercial Work—no businesses, etc. We are 100% repair, service, and replacement of residential garage doors and garage door openers. We cater specifically to residential homeowners and their needs. We work on all makes and models of garage doors & openers, but we only install one brand of each. We install Liftmaster garage door openers, and C.H.I. garage doors. We focus on providing top-quality products, rather than offering a wide range. We do this to prevent having to address inferior products, inferior warranties, and complaints in general. It’s not that we shy away from customers who are looking for the cheapest fix possible, rather, we convince even the toughest customers that our top-quality product will pay for itself over time. We do not advertise to achieve parts sales—our prime location and large inventory are a supplement to our company—parts are not a primary focus. We don’t do service contracts, and aren’t a “$39 coupon in the mail for service” kind of company. We let our service & customer service speak for itself, and then offer special discounts to repeat customers. We truly have the best warranties in the Dallas Metroplex on labor, our torsion springs, our garage doors, AND our garage door openers. 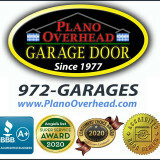 We are a family owned and operated garage door business. 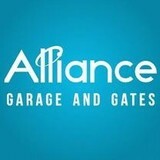 We do any and all service for garage doors and openers. We have been leaders in the high-end garage door and custom gate industry since 2005, providing our customers with reliable, beautiful doors and excellent customer service. Our customers trust us to do amazing work every time. If you want a dependable home entryway, hire our team to do the job. The strong infrastructures of Garage Door Repair Keller indicate the company's capacity to deal with issues properly and fast. The technicians are skilled and provide the most exceptional overhead door repair services in Texas. Garage Door Repair Forney is fast, powerful and experienced. It offers rollup and overhead garage door repair services, is an emergency same day contractor and the best in Texas for opener troubleshooting. The contractor everyone in Texas can trust for repair services. Garage Door Repair Waxahachie is consistent, well-equipped, responds fast, offers same day service, and excels in garage door opener replacement. Reputable and veteran provider of garage door repair and garage door parts in Garland. Garage door service provider in Texas that has inexpensive service rates. A quality garage door company in Highland Village. Offers repair services to automatic garage door openers and to broken spring replacement. Professional garage door service provider located in Texas. Garage door company operating in Crandall with deals such as garage door torsion spring repair and garage door sensor wiring. We are garage door service provider in Texas with professional technicians. Oasis Bath and Glass offers unsurpassed elegance and unlimited design flexibility. Created using the highest quality components and installed by our experts, these enclosures are your personal oasis from the stresses of every day. Our enclosures are widely recognized as the finest product of their kind. Their remarkably sturdy, low-profile design results in a beautiful, clean and uncluttered look. What kind of services do Addison, TX garage door dealers and installers provide? Garage door professionals specialize in the selection and installation of residential garage doors and openers that fit your budget, style and needs. This includes choosing a garage door style — or designing a custom garage door — that blends in with your home’s exterior, selecting materials, determining a technological system that supports your security and access needs, determining proportions and dimensions, finalizing decorative designs and ensuring that everything meets Texas compliance and building codes. Find garage door sellers and installers in Addison, TX on Houzz. Narrow your search for Addison, TX garage door sellers and installers by selecting the nearest city or zip code. Look at portfolio and product photos, and read reviews to find the best Addison, TX garage door professional for your home.